It was fortunate that I had an ongoing project that needed some page building stuff. So I thought I would try doing the job using Gutenberg — why not? I was thinking like if it’s going to be implemented in WordPress Core soon, then it must already be usable for an average page building task. Well, first I was a bit afraid of using Gutenberg — seeing the really bad ratings it got in the WordPress Plugin repository. Fortunately, the situation is not that bad as how the commenters describe there (isn’t it interesting? When a new paradigm is coming into our world, most of the people are against it. Then, after a while they get used to it). However, it is obvious that Gutenberg is not a mature system yet: there is still a long way to go to make it perfect comfortably usable. But if we don’t really bother about some annoying bugs and its immaturity in usability, then I can say that Gutenberg is a promising system with great potentials. and where it could be improved in terms of usability. I’m writing here about Gutenberg 3.4.0. Hopefully these child’s illnesses will be addressed in the future versions. As you can see it, the old content is put inside a Classic block. In my opinion this is a great idea, because it keeps your previous formattings. 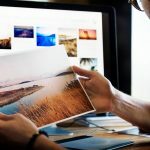 This way it’s not likely that Gutenberg will ruin your previous contents and layouts (however, it may as there are millions of different WordPress setups out there). Also, I really like its look and feel, writing using Gutenberg has more like a feeling of “Creating”. The new editor area is a lot narrower than in the old (Classic) one. This is comfortable as it’s easier to write if the 2 ends of a row are not miles away from each other. However, this narrowness was really annoying when I tried to make a multi-column layout. I really like this feature. I can create multi-column sections that usually can only be found in premium page builders. However, it’s not yet as advanced as WP Bakery’s page builder nor as SiteOrigin or Elementor. Actually, it had a feeling like I’m playing around with a child’s Lego after using some real tools before. If you increase the number of columns, then everything is OK. If you decrease it, the last column simply gets erased, without warning. OK, you can undo things, but shouldn’t it be more usable if it went into a new row where I could erase it when I wanted to? There is no way to have only 1 column. However, it would be really useful if I wanted to put several elements below each other inside a container. Narrowness of the editor, again. I have a 1920px wide screen but had to edit everything in a 600px wide box. I know, there is a way to adjust it somehow in functions.php, but I’m writing this article from a power user’s point of view… It would be so great to have a setting for it inside WP-Admin! 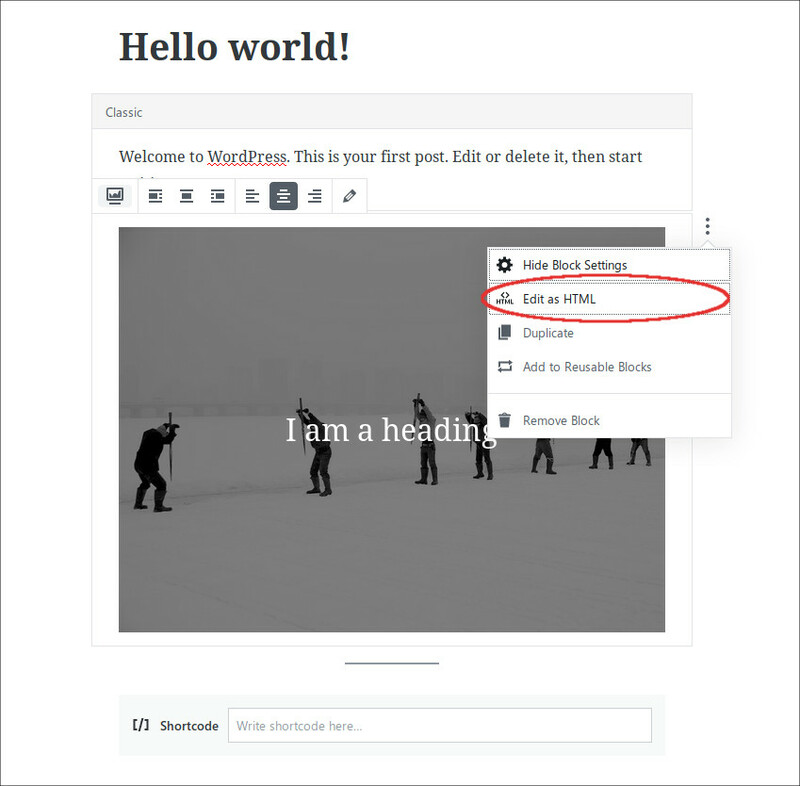 Unlike the premium page builders which use either shortcodes or a complicated markup to build up page structures, Gutenberg keeps the markup as simple as possible. This is good because it gives your content higher level of portability when switching between themes. Instead of shortcodes, Gutenberg uses HTML comment tags to detect the special settings for the different blocks. 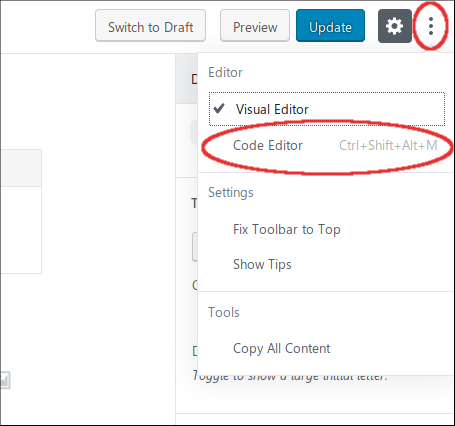 You can view this markup if you click on the Three Dots (More) button in the top right corner of the editor and select the Code Editor option. As you can see, there are the wp:heading and the wp:paragraph HTML comments around the Gutenberg blocks, while the real markup is kept as simple as possible. 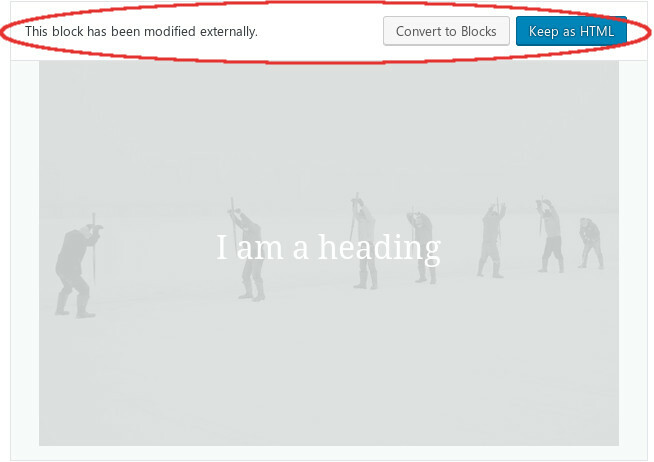 Gutenberg has a block for inserting good old shortcodes into your pages. However, I found this block type quite useless in its current state. It is a way better option to just create a custom HTML block and put your shortcode there, because that way you can encapsulate the shortcode in container elements — making it possible to add extra formatting or ID anchors to them. Cover Image is a really great block type. Many modern web pages use the feature to have a wide image block with some heading text on them that separate the different sections of a page. The text on the image uses a P (paragraph) HTML element. In most cases these sections contain important titles, so it would be a lot better option to have the possibility to use H1 .. H6 headings in these sections – for the sake of SEO. No ID tag / HTML anchor possibility. This is a very big weakness of the Cover Image block (and almost all other block types in Gutenberg). In the everyday practice this kind of element is often used for separating different sections of a document. So not having an option to add an ID attribute significantly reduces its usability. If I chose Convert to Blocks, my block was converted to a simple Paragraph block. So Gutenberg forgot that I was originally editing a Cover Image block. Moreover, it didn’t maintain my custom ID attribute, so it wasn’t a good option to convert back into a block. The other option was to Keep it as HTML. In this case I lost the improved UI of the block. It’s not a good idea if I ever want to give the editing of this page into the hands of my client as he doesn’t know how to code HTML. So if you want to add HTML ID attributes to your elements, most of the current Gutenberg blocks aren’t your friends. Gutenberg was good enough to do what I wanted to achieve with it. But in some places I had to use very hacky solutions which were very far from what our end clients expect in terms of usability. 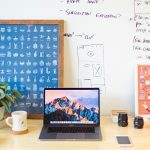 And I’m not sure that I would be able to replicate all the page layouts with Gutenberg that I had built before with more mature page building tools. What do you think, when will Gutenberg be good enough for everyday use? 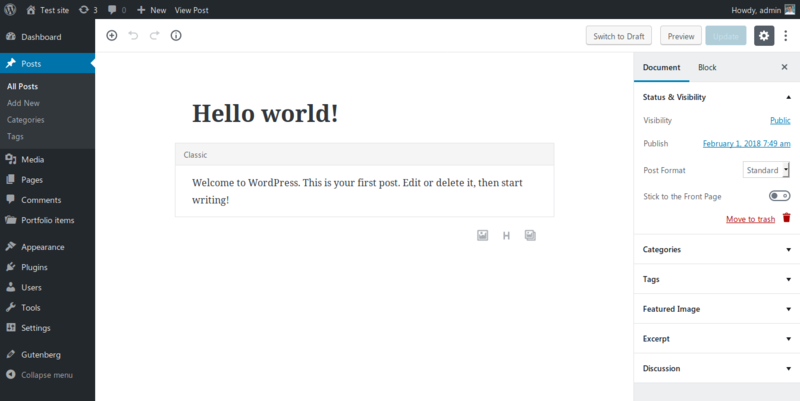 I installed it yesterday, using the link that appeared in the WP dashboard blurb. It immediately made every page on my site inaccessible — just by activating it! I de-activated it rather quickly, after verifying that all my content had become invisible to viewers, and all returned to normal — but the current version is definitely not ready for public usage! There are these wp:whatever for all blocks. Does normal wordpress search exclude these “comment” words when searching in content? 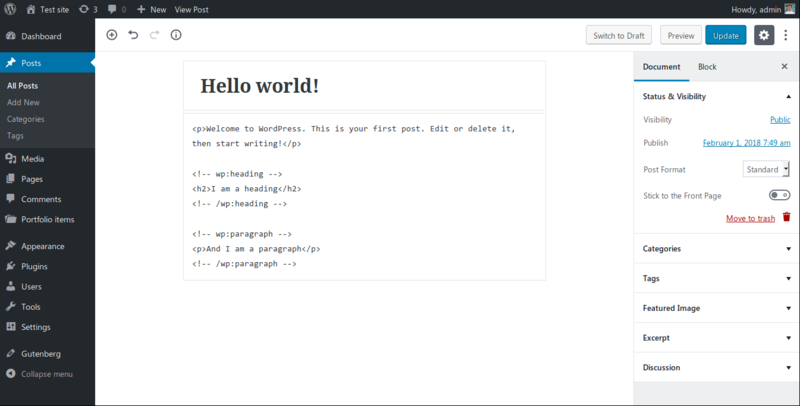 I’ve just tried how it works inside WP-Admin (the site I’m working on doesn’t have a front end search). And the Search tool in WP-Admin » Pages found the term “wp:heading” in my Gutenberg articles. Good point, perhaps the next WordPress versions should have a filter to exclude them from the search?